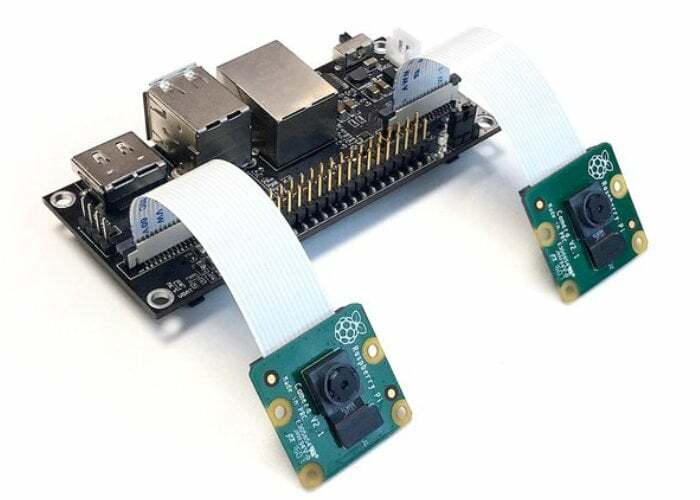 Developers, Raspberry Pi enthusiasts and photographers may be interested in a new Raspberry Pi project created to provide a way of connecting two Raspberry Pi cameras to a single board. Using a Raspberry Pi Computer Module the system offers dual cameras at the required spacing for stereophotography. Together with all the interfacing you would expect on a regular Raspberry Pi mini PC in the form of a 40-pin expansion header as well as USB and Ethernet ports. The open source stereoscopic camera with Raspberry Pi inside has been created for computer vision learners, drone and robot builders and will be launched via a crowdfunding campaign via Crowd Supply. If you are interested in learning more jump over to the site via the link below and register your details. – This is a stereoscopic camera based on Raspberry Pi. It can capture stereoscopic image or video, save or livestream it, and process on-the-go for Computer Vision. – Friendly – works with a stock Raspbian, no need to be a Linux guru, all your existing Pi software/hardware projects just works. – Easy to start – lot of ready-to-use tools in Python, C, OpenCV. – Compact and comfortable for all stages of experiments starting from “on the table” tests and up to integration to the drone or robot. “So aside from the stereophotography why is this special? The answer comes in that it is as close as possible to a fresh interpretation of a Raspberry Pi board without being from the Pi Foundation themselves. The Pi processors are not available to third party manufacturers, so aside from the Odroid W (which was made in very limited numbers) we have never seen a significant alternative take on a compatible Raspberry Pi. The idea that this could be achieved through the Compute Module is one that we hope might be taken up by other designers, potentially opening a fresh avenue in the Raspberry Pi story.” Explains Jenny List from the Hackaday website. For more information jump over to the Hackaday site by following the link below.